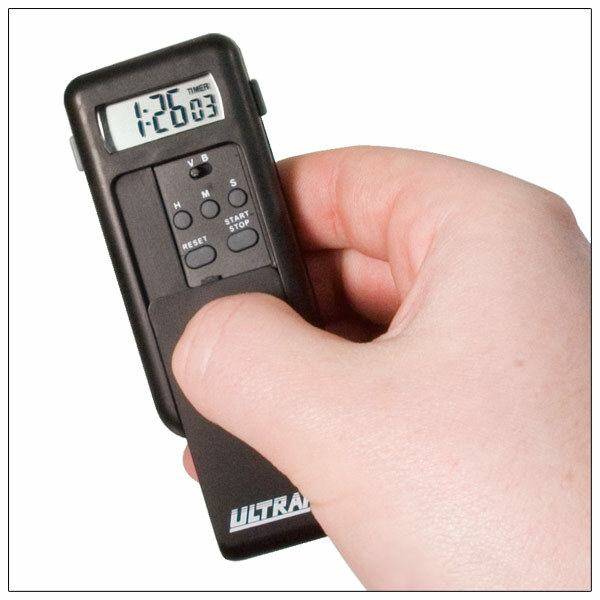 This compact, convenient pocket size timer gives the user their choice of a vibration or beeping alarm when time is up. An alarm alerts at the one-minute mark in the countdown, and once the timer reaches zero it automatically begins to count up, providing additional timing capacity. Great for everyone, and an accessible choice for the deaf and hearing impaired. * One-minute alarm indication for timer counts down to zero.